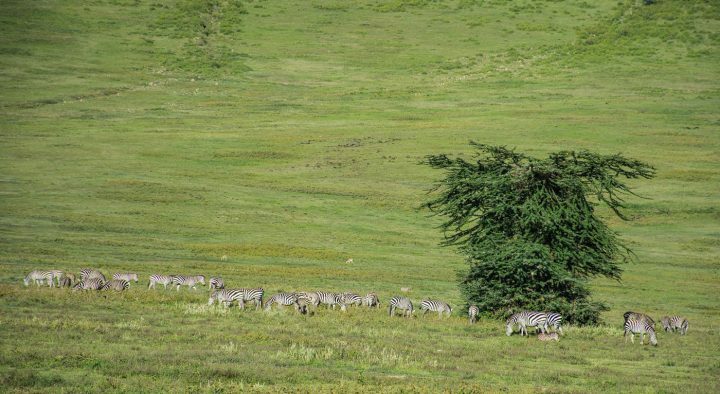 Said to hold the greatest concentration of wildlife in Africa, Tanzania’s Ngorongoro Crater is a UNESCO World Heritage Site (since 1979) and forms a key component of Tanzania’s northern safari circuit. 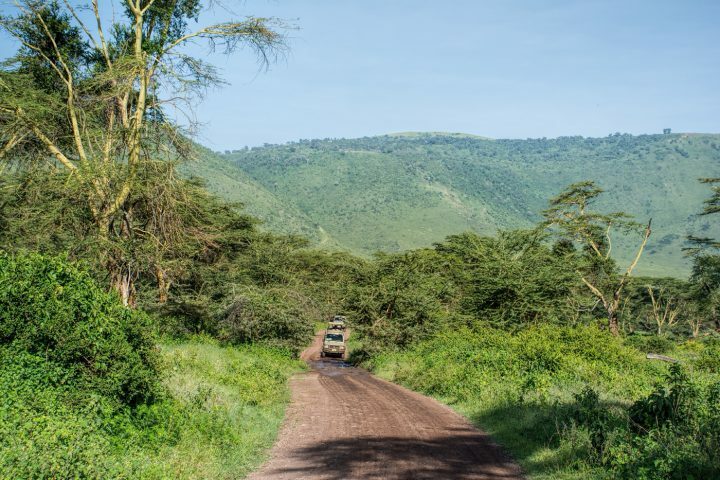 The Ngorongoro Conservation Area (NCA) was established in 1959 to try and resolve the problems with Maasai and other tribes caused by the National Park Ordinance of 1948, which created the Serengeti National Park. The NCA was separated from the Serengeti and the pastoralist tribes, predominantly Maasai, living in Serengeti were relocated to the NCA, significantly increasing the numbers of people and livestock residing in the Crater. 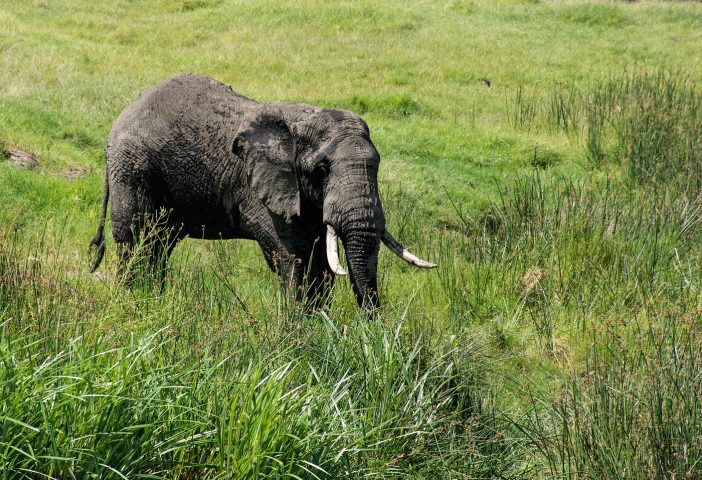 Land in the greater conservation area is multi-use and is the only conservation area in Tanzania that allows human habitation in a protected wildlife area. To prevent negative effects on the wildlife population, all but subsistence level cultivation is prohibited. With the boom in wildlife tourism, and the attraction of the Crater as a lucrative tourist destination, the 2009 Wildlife Conservation Act placed restrictions on human use of the Crater and sought to forcibly displace the pastoralists and their livestock. Unsurprisingly, the Maasai are not happy about being displaced for a second time and there are tensions between the local Maasai communities and the authorities. 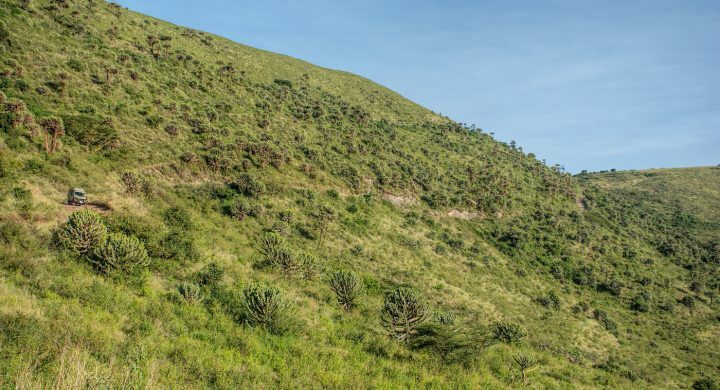 Of course, as a visitor, you are unlikely to see any manifestations of this tension and several of the Maasai communities in the immediate vicinity of the Crater earn a steady income from tourism. Is it a ‘must see’? Well, as you might expect, there are pros and cons. Yes, it does have a terrific concentration of wildlife, but due to a strict ‘no off-roading’ policy, you cannot always get close to it. 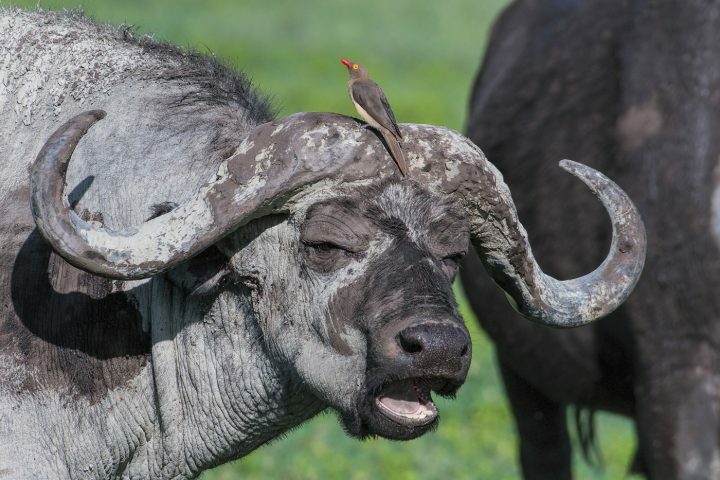 Also, almost every sighting of key species like rhino or lion attracts safari vehicles like flies to jam and you can find yourself caught up in a bottle neck that is hard to escape,or avoid. Too many guides rely on their radios rather than their eyes and simply listen for word that another guide has found something; whereupon they race there as fast as they can. The poor clients in these vehicles must miss so much as they are whizzed from one reported sighting to another. Even when they get there, the animal in question could be 100 metres away. For me, this is one of the dilemmas of the Ngorongoro Crater. For visitors travelling by road, it is on the way to the Serengeti, you have to pass through the NCA to reach Serengeti, so it seems ridiculous not to stop and visit. Because of this, many of the tourists descending into the Crater are entering their first African game park. They are keen to see what all the fuss is about and their guide is eager to show them the so called ‘Big 5’ as quickly as possible. 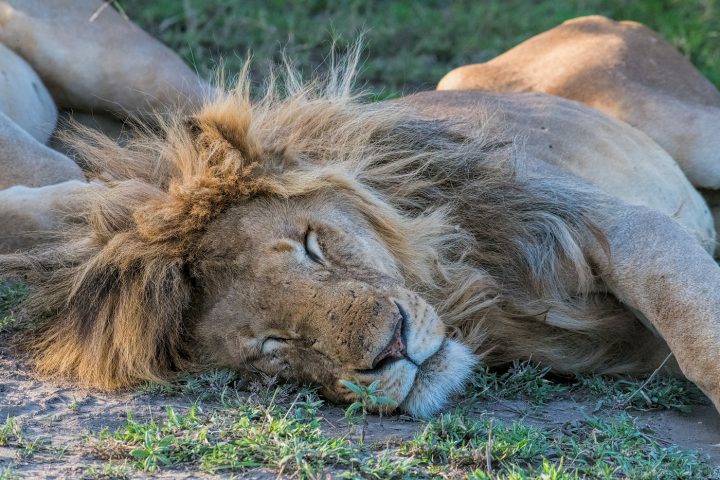 Those travelling in the opposite direction, coming from Serengeti, will almost certainly have seen 4 of the Big 5, with only the rhino remaining to check off the list. Their guides are equally eager to complete the list. 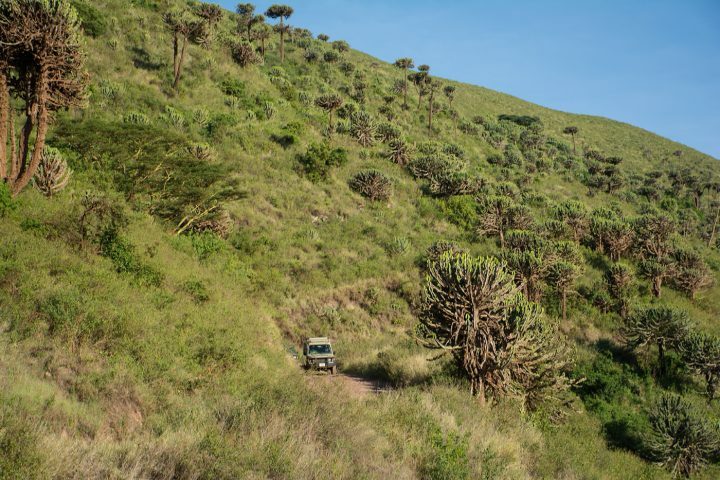 In a park like Serengeti, which is vast, there are many different routes you can take for your game drives and it is not too difficult to avoid the busy central areas. 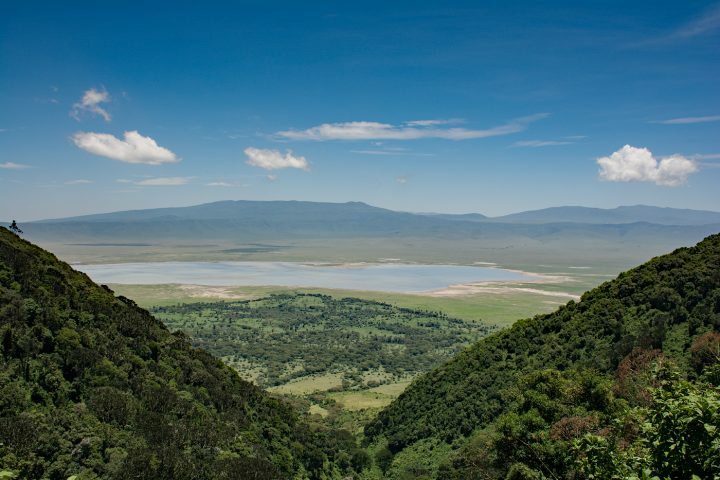 Ngorongoro Crater is quite small, as you wait at the gate to enter you can look down on the entire area. If you are lucky you could find yourself staying at one of the camp sites on the crater rim, which will also have fantastic panoramic views. If you are entering by the Eastern Lemala Gate, you will also be starting to get an idea of the Crater’s biggest drawback – traffic. No matter how early you plan to get to the gate, there will always be someone there before you and, even if you only wait at the gate for a few minutes, more vehicles will be arriving all the time. This means that when you start your descent towards the plains you will already be trapped in a procession of game vehicles. Once you reach the crater floor, the vehicles tend to all head in the same direction, because that’s where the animals are. Although it might be appealing to enter via the nearest gate, it is not the best way. Far better to take an extra 15 or 20 minutes to drive around to the Western Seneto Gate. Firstly, it gets far less traffic. Secondly, the drive down offers spectacular views of the landscape unfolding below you. The road down is lined with giant euphorbias and upon reaching the bottom, you are almost immediately into the Lerai forest. This route is so much more enjoyable than the busy and barren drive down from the eastern gate. There is no hurry. Let those that are in a hurry pass. 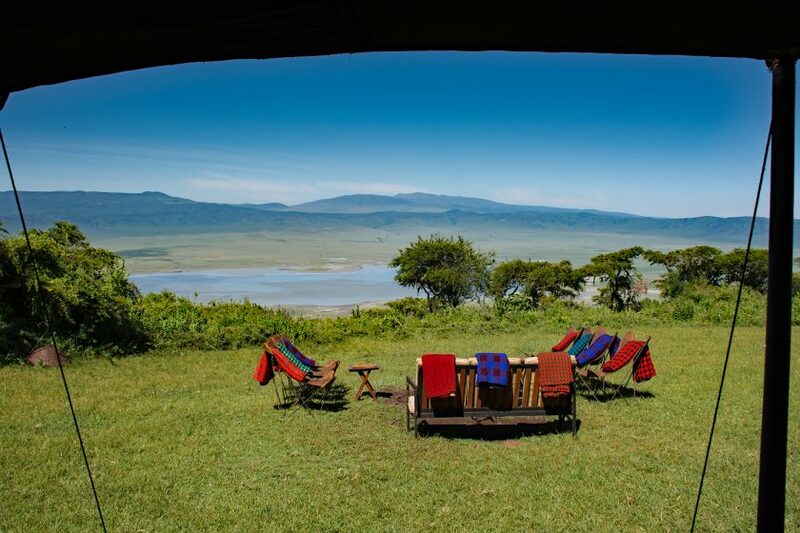 The thrill of spending time in Ngorongoro Crater is the uniqueness of the environment; there is nowhere else like it. Don’t worry too much about the animals, you’ll almost certainly get better – closer – game sightings in the other parks you visit. The only exception to this is the rhinoceros. When it is time to leave, use the Lerai ascent road. Again there are 2 very good reasons for this. First, it is paved all the way, so it is smooth easy drive. Second, the views the unfold as you get higher are wonderful. So back to the big question, is it a must see? It is certainly a place that most people going on safari in Tanzania want to see. I’ve been quite a few times and, although I don’t approach each visit with the same enthusiasm is have for other parks, there is undoubtedly something special about this place. None of those that I have taken there for the first time have been disappointed. The concentration of wildlife combined with the spectacular surroundings ensure that it will be one of the most memorable places you visit. So yes, for first time visitors I think it does count as a ‘must see’ destination, because if you don’t go you’ll always wonder what it would have been like. Having said that, being a ‘must see’ is not the same as being a ‘must revisit’, which puts it is stark contrast with some of Tanzania’s other game parks where every visit brings new experiences. 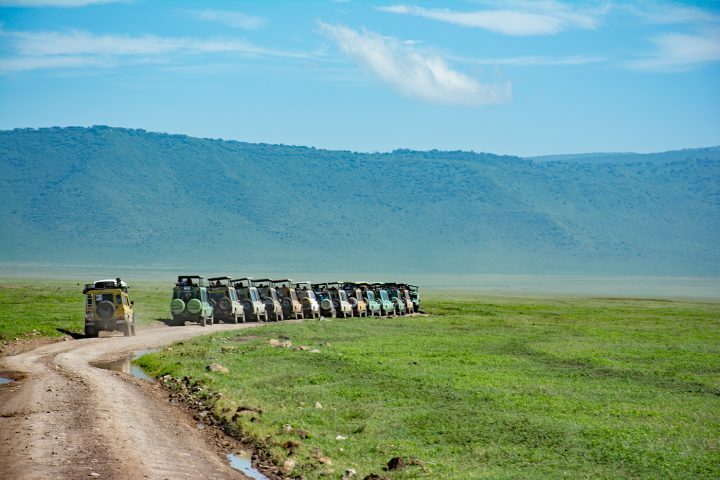 If you’d like to find out how you can fit a visit to the Ngorongoro Crater into your safari we’ll be happy to help; whether you want to go by vehicle or on foot.